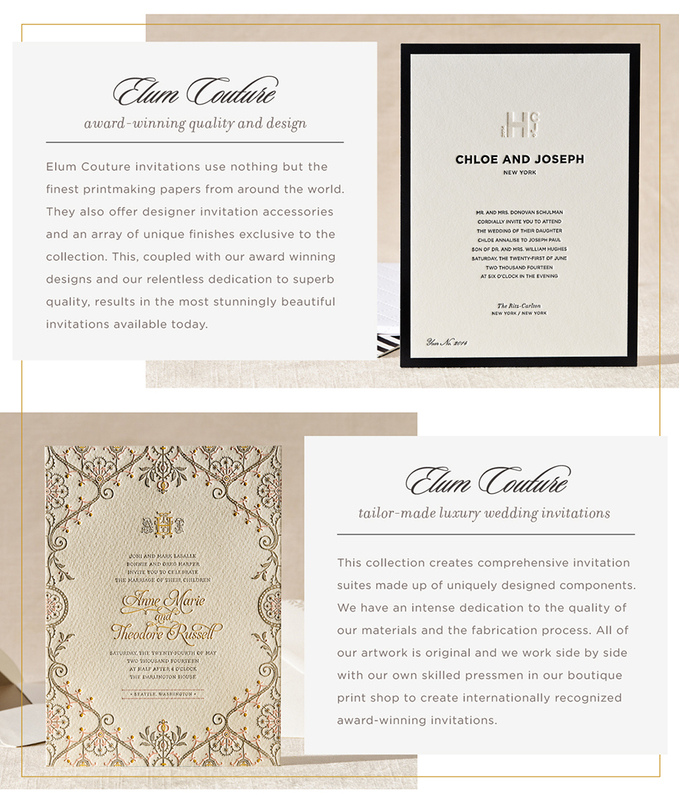 We are currently in the process of adding our custom wedding invitations to our website. 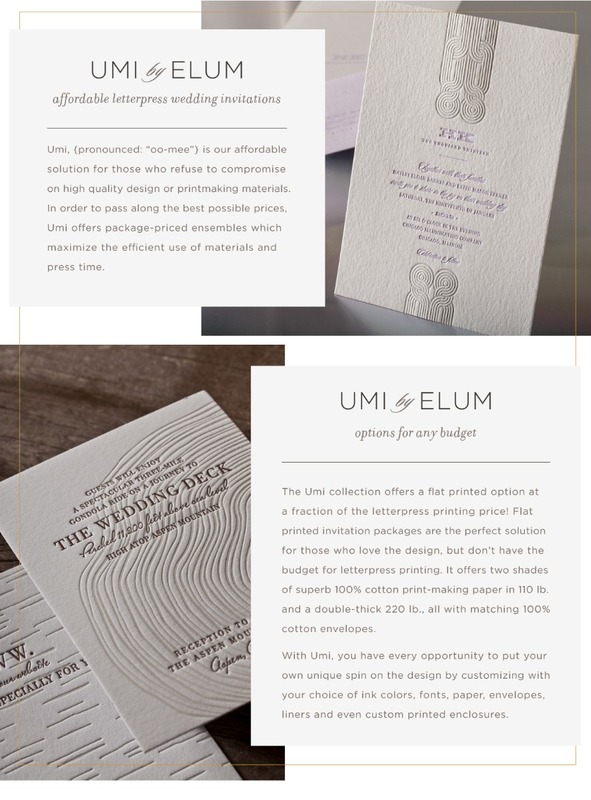 Please take a moment to read about Elum’s superb custom letterpress capabilities or contact customer service at 800.536.ELUM to request samples or receive assistance finding a dealer nearest you. 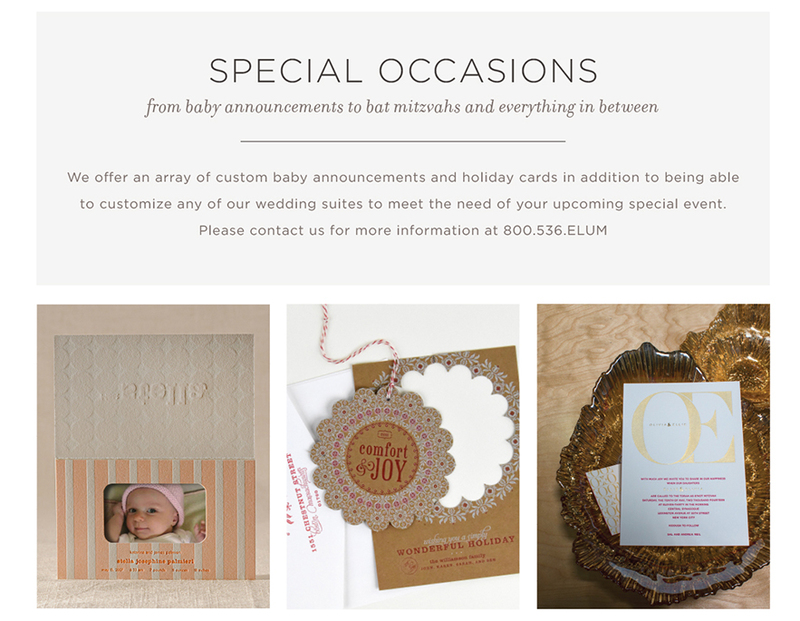 You may also view many of our wedding suites on Pinterest.